Bigger than life, out of the ordinary, an overachiever, a superhero…this is what makes a legend. The Legend Pool Table by Presidential Billiards may not be a superhero, but it is definitely out of the ordinary. 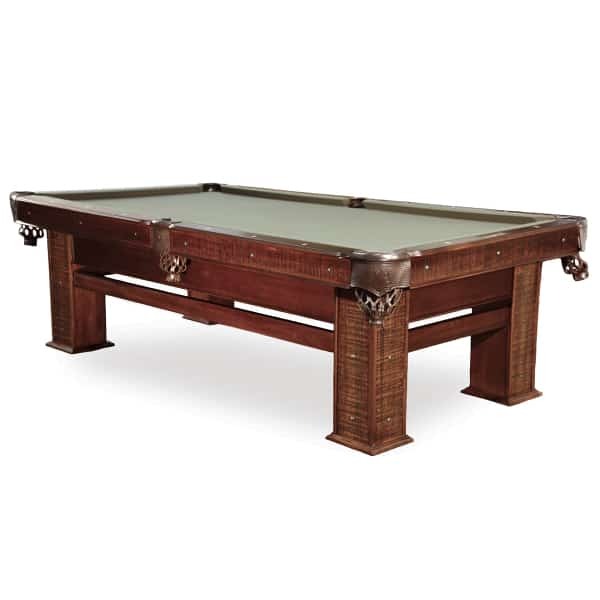 Constructed of African Mahogany, the Legend Pool Table is finished in luscious Mocha with lightly distressed low-lights on the square legs and blinds, which give the table a rustic look. Metal studs contribute to the rustic feel. 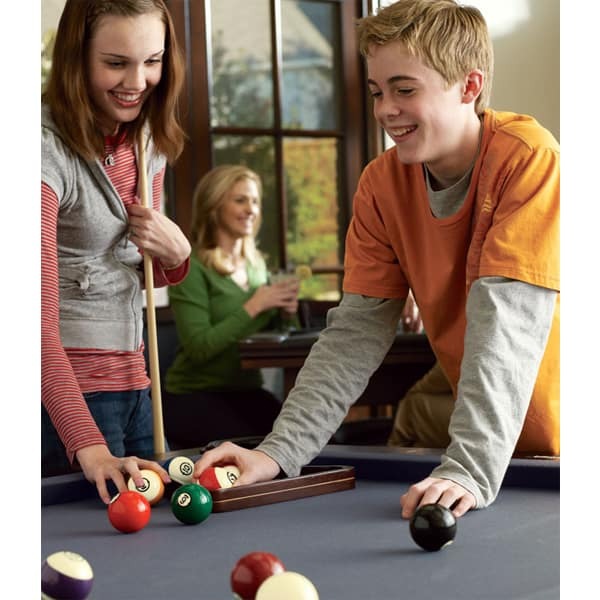 The Legend Pool Table has a world-class playing field, featuring 1” 3-piece framed slate, wide top rails, inlaid diamond sights, and rubber infused cushions; all to help make your playing skills the stuff of legends.